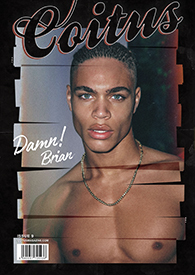 One of the original Coitus boys, Aaron is back in our new issue “American Boy. We treat you to some outakes with his shoot with Pantelis. Make sure you grab a copy of our new issue to see more of Aaron and a lot more! Coitus is sold in our “online store for anywhere in the world you are.